Stay up-to-date with the latest information from Jersey NZ. Subscribe to our newsletters for the latest information. 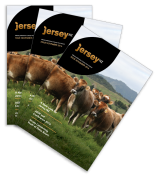 Get the latest industry news on Jersey cows from Jersey NZ.